Last week our blend of the week was *st*. 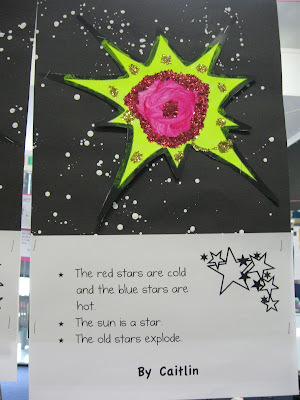 We read an interesting book called "The Stars Above" by Jill Eggleton and then we wrote down some of the star facts that we had learned. 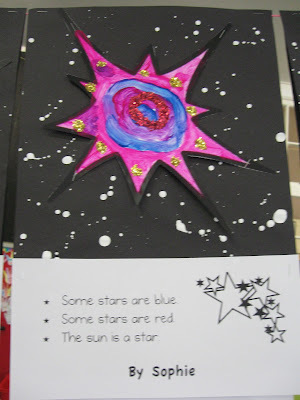 We also painted some stars using bright flouro paints and then put lots of glitter on them. We put them on black paper with white paint splatters to look like outer space. We think they look amazing hanging up in our classroom! Have a look at our stunning star writing. Maybe you will learn something new about stars too! What great star facts B4! 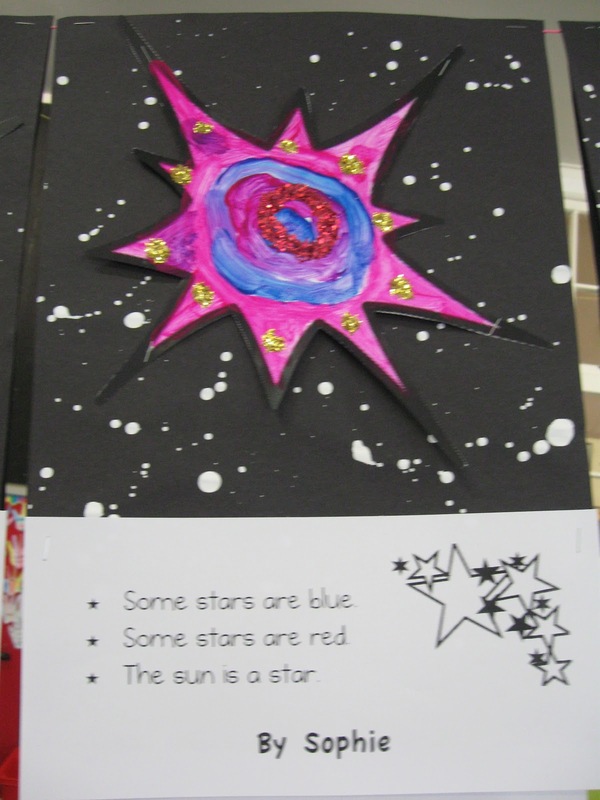 What very colourful stars you have made B4. Do you know that at the moment there are three planets in the sky that you can see at night. They look like very bright stars. Jupiter and Venus are in the sky close to where the sun sets but you have to be quick to see them for they set a little while after the sun. A bit later you can see Mars higher in the sky, looking like a bright orange-coloured star. Matt and Ryan saw all three planets on Friday night! We loved seeing all the colourful stars and reading the stories. Well done B4. Keep up the great work.